Communication and public relations specialists play a vital role in shaping public opinion and behavior. Businesses, nonprofit organizations, and government agencies all rely on people skilled in the arts of oral and written communication for their success and well-being. An online communications degree can be the first step on the road to joining this vital industry. Increasingly, people are choosing to pursue their communications and public relations due to the greater flexibility and affordability of online degrees. Because the quality and credibility of online schools and online degree programs vary widely, it's important to do a thorough investigation before settling on a program. To help with that investigation, we've put together a ranking of what we consider to be the best online and distance learning bachelor degree programs in communication, public relations and journalism. 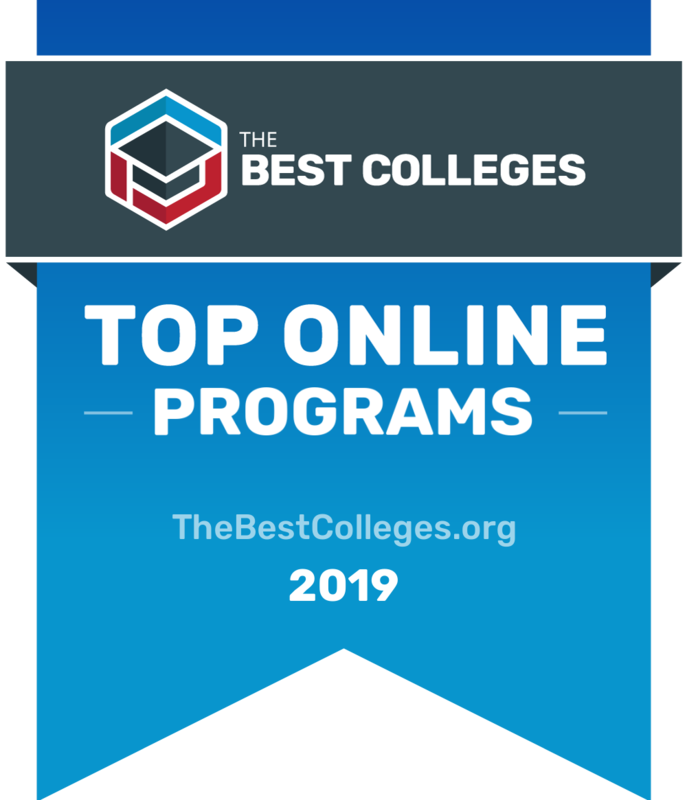 Our online degree rankings are based on several factors, including school and program reputation, peer and instructional quality, and overall affordability. Only fully accredited programs were considered for our rankings. You can also check out our ranking of online communication and public relations master's degree programs. What Are The Best Online Communication & Public Relations Programs? SNHU’s online BA in communication degree helps students gain the communication, computer, and graphic design skills they need to become successful graduates. Online communication degree students are prepared for careers in advertising, corporate communications, public relations, and social media strategy. SNHU has low tuition rates and offers career and academic counseling to help students meet their goals. Capella University is a private, for-profit online university with a socially progressive mission. Capella’s online communications degree and distance learning programs are highly regarded. The school’s online Bachelor of Science in Communication empowers students to explore basic communication theory and concepts and how they can be adapted for a variety of contexts and technologies. Students will learn how to develop effective and strategic messaging strategies using any number of traditional and emerging communication technologies. Students will also reflect on their own individual communication strengths and weaknesses and learn to improve upon both. In addition to the opportunity to design a personalized concentration, students can choose from concentrations in Marketing Communications, New Media, Online Work and Communities, Organizational Communication, and Public Relations. Graduates will be prepared for careers in advertising, marketing, public relations, promotions, and many other fields. CUS’s Bachelor of Science in Communication program supplies students with the knowledge required to successfully fill organizational communication positions. Capabilities will include ethical and critical thinking skills necessary for today’s global society, mass media, and changing technology trends. The coursework covers oral and written communication, mass communication, new media, public relations, strategic communication, technical writing, and the leadership and management skills needed to successfully contribute to and within an organization. The program is designed for those interested in leadership or management positions, and for those who desire to excel in positions responsible for internal organizational communication efforts and external communication efforts. The Bachelor of Arts in Communication Studies will provide you with an excellent knowledge of communication theory and practical application. You’ll develop an understanding of interpersonal, group, and organizational communication – including a grasp of social media and communication via emerging technologies. Plus, with a Christian worldview integrated into all communication courses, you’ll see how ethics, meaning, and truth are essential to how we communicate. With a communications degree, you’ll get training in a variety of important topics, including cross-cultural communication, persuasive communication, and communication law. With a broad understanding of what takes up 75% of every person’s waking hours – communication – you’ll find job possibilities in areas ranging from business and advertising, to radio and journalism, to politics. The University of North Dakota is a public research university with a solid national reputation. UND has been offering distance education programs since it began offering correspondence courses by mail in 1911. The university’s online communications degree for Bachelor of Arts in Communication focuses on the ways in which information processes and communication technologies influence local and global communities while providing students with a broader liberal arts education. It also allows students to further focus their program upon individual areas of interest in interpersonal communication, organizational communication, public relations, advertising, print journalism, and media studies. Ethical and socially responsible information and communication practices are emphasized throughout the program. Graduates will find themselves prepared for careers in advertising, public relations, speech writing, print journalism, broadcasting, fundraising, and politics, to name a few. UMass Online is one of the top online universities in the world. The online communications degree in Bachelor of Arts in Journalism Studies Concentrations program has been recognized as a “Program of Excellence” by the University Continuing Education Association (UCEA), one of the most prestigious awards in distance education. It is a degree completion program that allows students to transfer up to 75 previously earned college credits (no matter how old) and earn up to 30 additional credits for previous life, work, and training experiences. The program is designed to fit the schedule of working adults and to prepare graduates for work in travel writing, sports writing, photojournalism, war reporting, science writing, arts reviewing, citizen journalism, and a number of other fields in journalism and communication. The University of Louisville is a top-tier public research university with a history going all the way back to 1798. Louisville’s relatively small online learning program is awards the same degree as a traditional, on-campus program. The university offers both an online Bachelor of Arts in Communication and an online Bachelor of Science in Communication. Both programs, which are administered through the College of Arts & Sciences, are designed around research and coursework that emphasize the rhetorical, organizational, interpersonal, and mediated contexts and perspectives definitive of the communication field. The two programs differ in that the bachelor of arts requires more foreign language and liberal arts credits and fewer credits for a communication degree online. Graduates from either program will be prepared for careers in electronic media, print media, public relations, and communication training and development. Drexel University is a private research university, frequently ranked one of the top universities in the country. Drexel Online has been recognized as one of the top places for online degrees. Drexel Online’s Bachelor of Science in Communication with a concentration in Corporate Communication and Public Relations was designed by the School of Art and Sciences to prepare graduates for senior level corporate communications and PR positions at corporations or non-profits. The curriculum includes a core of basic communication theory and method, and a focus on PR and corporate communication, which looks at journalism, publication design, new communication technologies, and the interplay between mass media and society. Graduates of the program will be prepared for a variety of senior level corporate positions. Communications is one of those career paths that is plagued with misinformation. Here, we set the record straight on a few of the . MYTH #1: It's a degree for people who don't know what they want to do. No. It's a degree for people who want a wide range of options. Everything from publishing to journalism is open to you. MYTH #2: It's just looking at Instagram. No. Navigating social media is its own unique discipline in the modern world, and every company that wants to succeed needs to learn how to do it. Communications majors are the vanguard of that approach. No. Learning how to reach people and get them to listen is just about the oldest and most important science of our species. You may be utilizing the science for an ad campaign or a political movement, but the end result is the same. Communication is vital. These are two areas where communications might seem identical, but they’re actually not. Public relations is how a company or brand sells itself, whereas marketing is how a company sells its product. Basically, PR is how an entity looks beneficial to everyone involved in it, and marketing is how what they sell looks good to the general public. Both are vital parts of communications, but they have different goals. Communications is an area that is only getting bigger and more diverse in an increasingly connected world. The opportunities for someone who specializes in communications are vast. Public relations, for instance, can net nearly $60,000 annually, while translators are one of the fastest growing industries in the country, according to the Bureau of Labor Statistics. Technical writers (those who prepare manuals and other essential communications) are also in high demand. There are a lot of things you can do with a communications degree. Beyond the basic degree level, there are other opportunities. You could get your Accreditation in Public Relations, for instance. Or, if you're patriotically-minded, there's a military version of the same that's worth pursuing. Communications is a vast discipline with many paths to excellence. A bachelor's degree in communication or public relations can greatly expand your career options and give you an entry into this exciting and growing field. A bachelor's degree in communication, public relations, or journalism is a necessary prerequisite for most entry-level positions, be they in Idaho, Iowa, Kansas, Kentucky, Indiana, etc. The number of possible occupations for graduates of communication, public relations and journalism programs are numerous and include positions in corporate communications (Media Relations, Speech Writer, Public Affairs), marketing/sales (Sales Representative), advertising (Media Planner, Ad Specialist), education (Teacher, Admissions Counselor, College Recruiter), government (Speech Writer, Lobbyist, Campaign Director), broadcasting (On-air Talent, Floor Director, Assistant Producer) and religion (Minister, Preacher, Motivational Speaker). If you already have a bachelor's degree from an accredited university, you might consider a top-ranked master's degree program in communication or public relations. *The schools listed above are sponsored. Sponsored school listings are distinct paid advertisements and are clearly marked with a "SPONSORED" or "FEATURED" tag to distinguish them from editorially ranked schools. Learn more about how rank schools or contact us with questions. To determine the best online Bachelor’s in Communication & Public Relations degrees, we looked at the most important factors prospective students, mainly common predictors of future success and a school's commitment to online programs. This boils down to admissions rate, student loan default rate, retention rate, graduation rate, and the percent of students enrolled in online classes. All data points are taken from information provided by colleges and universities to the National Center for Education Statistics. Each factor is weighted evenly in order to give an objective view and determine the 9 best online Bachelor’s in Communication & Public Relations programs. To calculate our rankings, we looked at a school's ranking when organized by a single factor, and then averaged each category's ranking to find an overall score: Admissions Rate (20%) + Default Rate (20%) + Retention Rate (20%) + Graduation Rate (20%) + Percent of Students Enrolled in Online Classes (20%) = Final score.